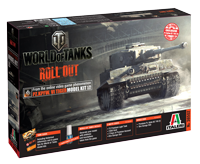 Are you interested in building models of the tanks you command in World of Tanks? 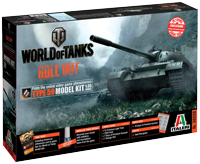 Do you like rare tanks and know someone who appreciates models? 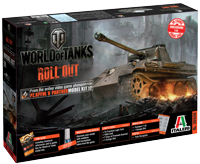 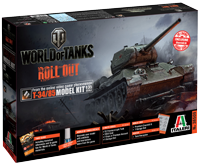 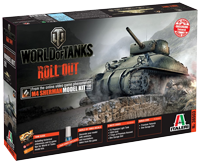 Look no further than Italeri's new 1:35 scale World of Tanks model kits! 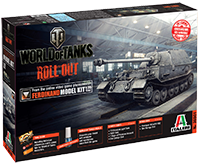 We've teamed up with the popular manufacturer of scale models to produce kits based on tanks from four of the nations featured in World of Tanks. 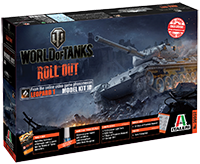 Each kit comes with a decal sheet of emblems and inscriptions based on those in the game, and codes with bonuses for existing players or great invite codes for potential newcomers! 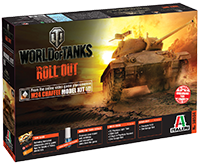 CLICK TO CHECK OUT THE SELECTION!